MeReal Biometrics is awarded the 2016 IFTA Fintech Rising Star award! 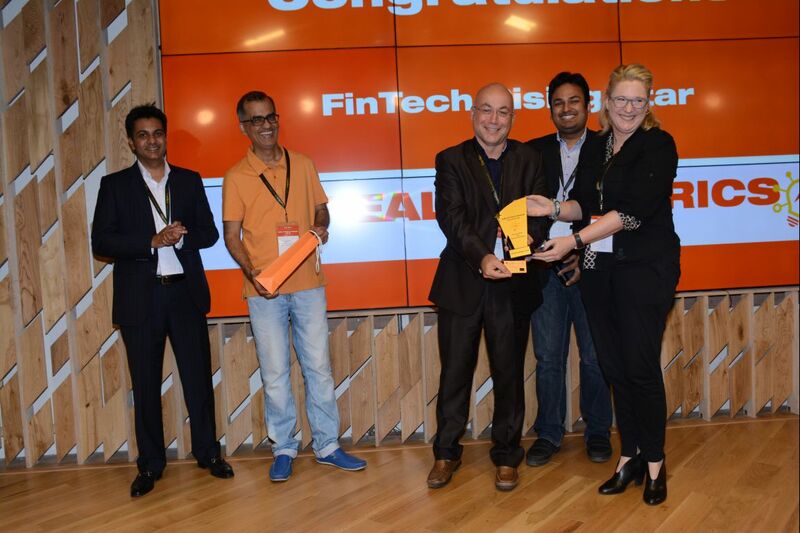 In December, we flew to Mumbai for a one day event, the Indian Fintech Awards. We, however, flew out with a Fintech Rising Star Award for “Innovation and Business Excellence”. It was one of five awards on the day. We were judged by digital and innovation team leaders from Kotak Mahindra Bank, Barclays Bank, and IBM to name a few. They were extremely receptive and positive and we met a range of interesting people from various sectors. Two weeks earlier, India’s Prime Minister Narendra Modi announced his demonetisation decision in which he declared all 500 and 1000 rupee banknotes invalid in an attempt to digitise the country’s payments and reduce counterfeit, terrorism, and corruption. Our card helps people enter and pay safely in the digital world so it was a beneficial time for us to be there to learn. Philippe Blot and Kate Davies accepting the IFTA Rising Star Award.